Richard Horatio Edgar Wallace (1 April 1875 – 10 February 1932) was a journalist and bon viveur who wanted to live the high life but was terrible at managing his finances. He eventually started writing short stories, histories, novels and eventually plays at a huge rate, writing over 150 crime books. His first and perhaps best novel was The Four Just Men but because there are too many books of his to list here, I will instead just provide an index to the Wallace books and film adaptations I have reviewed here at Fedora. Between September 1960 and October 1965 cinemas in the UK screened 40 films produced by Anglo Amalgamated in their Edgar Wallace Mysteries series. These low-budget movies, more or less based on the works of the celebrated mystery writer, were mainly produced at Merton Park Studios by Jack Greenwood though The Malpas Mystery (1960) was farmed out to Independent Artists and produced by Julian Wintle and Leslie Parkyn. These were made as dual-purpose product, to fit both on the second half of a cinema double bill, but also for potential sale to television overseas. In America they were shown as part of Edgar Wallace Mystery Theater / Hour but with other films thrown in that were not strictly speaking part of the series. For example, Crossroads to Crime (1960), directed by later Supermarionation supremo Gerry Anderson, is often included in the syndication packages but was an otherwise unrelated release given the Wallace imprimatur purely to help with sales. This was also true of Urge to Kill (1960), a largely unremarkable story of a mad killer on the loose made by Vernon Sewell, but also produced by Greenwood for AA and scripted by James Eastwood, who wrote many of the Wallace films, here though adapting a novel by Gerald Savory. Apart from the Wallace name and the title sequence, which as we see was occasionally added to unrelated material, the films in the series were otherwise mostly one-offs, largely unrelated to one another. 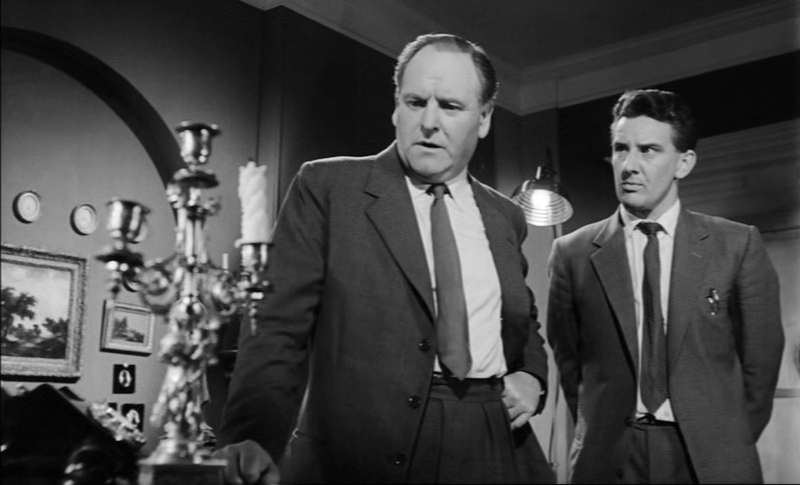 The closest thing the films had to regular characters were a pair of Scotland Yard detectives played by Bernard Lee and Stanley Morgan, who appeared together in the first release, Clue of the Twisted Candle respectively as Superintendent Meredith and Sergeant Anson and then paired again in Clue of the Silver Key and The Share Out. 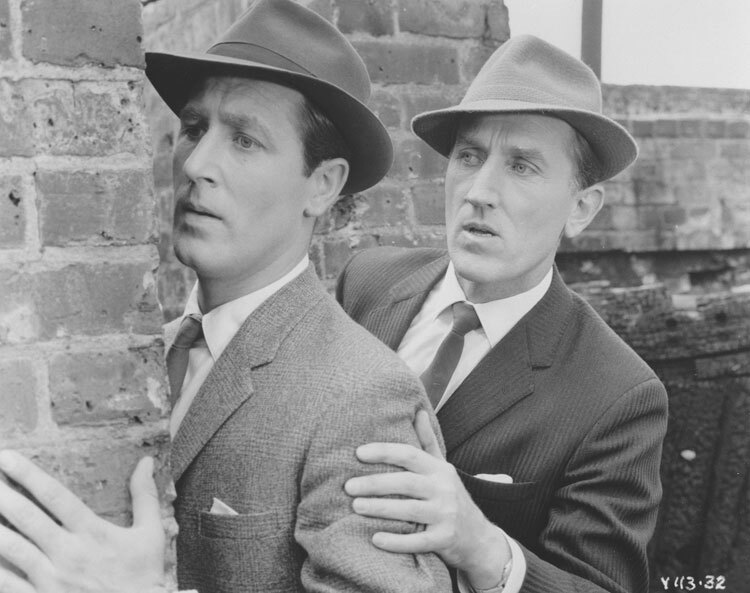 However, in Partners In Crime they played the same characters, but were renamed ‘Inspector Mann’ and (obviously John Ford fans at Merton Park), ‘Sergeant Rutledge’. Lee returned as Superintendent Meredith, albeit without his sergeant, in Who was Maddox? The films contrast intriguingly with the adaptations being made at the same time in Germany by Rialto, who produced nearly three dozen Wallace films between 1959 and 1971. Much jokier and more artificial, these are much more aligned to the horror-tinged ‘krimi’ films that would eventually lead to the Italian giallo thrillers popularised by Mario Bava and Dario Argento. For a good look at what those films are like, visit the Krimi Corner at: www.latarnia.com/krimi.htm. The German series, like the British one, essentially traded on the Wallace name without necessarily paying too much attention to the original sources. Each of the films also begin with an introduction by Wallace himself, though rather than a bust we usually hear his voice (well, not his real voice but that of an actor) on the telephone (“Hello? This is Edgar Wallace speaking …”) before the usually lurid titles begin over a twangy pop arrangement. Similarly, the Merton Park series spun off a popular theme tune in the shape of ‘Man of Mystery’ by Michael Carr and played over a darkly lit revolving bust of Wallace. Initially arranged for flute, the theme was later turned into a guitar hit by the Shadows, reaching number 5 in the charts. Here is the complete list of the film, including credits for the author of the screenplay and the director. Hyperlinks will be added as I post reviews of individual titles which have now been released for the first time on DVD in the UK. 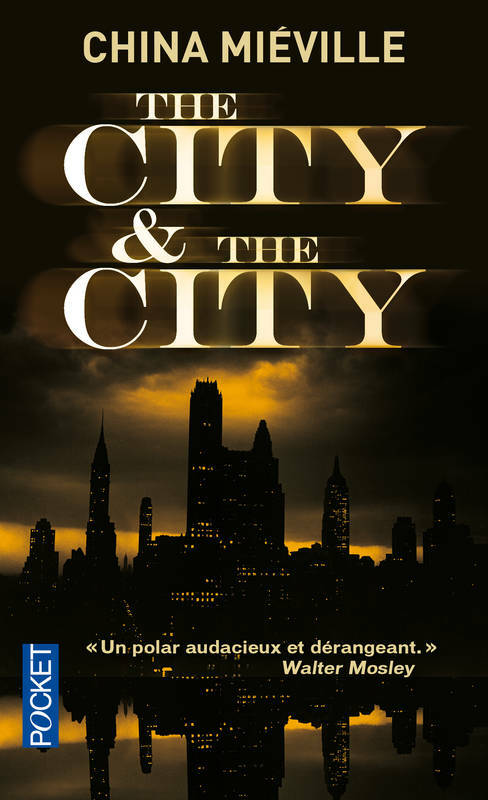 All of the films are now available in 7 box sets from Network DVD through a licensing deal with Studio Canal, who now own the Anglo-Amalgamated library. I profiled the box here. N.B. For some of the films it has not been possible to ascertain the specific Wallace story basis, which may mean they were in fact original screenplays. These have been marked with a single asterisk (*). The titles marked with a pair of asterisks (**) are often included in the Edgar Wallace syndication packages but were not actually part of the original Edgar Wallace cinema series. I have included them below for the sake of completeness. There’s also ITV’s late 60s/early 70s series of The Mind of Mr JG Reeder, starring Hugh Burden, with a slightly comic edge to it, and some very varied episodes, not to mention acting, but still, at its best, VERY entertaining indeed. However, it has an amazingly inappropriate title sequence and music score, which would be too OTT even for Jeeves and Wooster!!! Not seen the TV series but liked the stories.